What is the Rainbow Room? 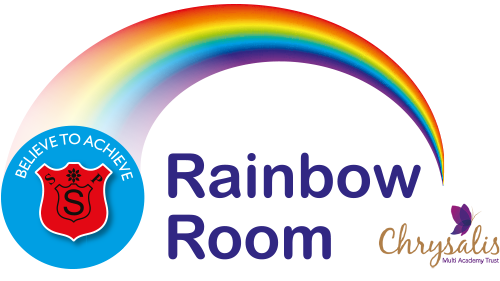 Our Rainbow Room is an Alternately Resourced Provision (ARP) specifically for children with autism. As defined by The National Autistic Society, autism is a lifelong, developmental disability that affects how a person communicates with and relates to other people, and how they experience the world around them. In the Rainbow Room, we work with children and families to help them overcome the obstacles associated with autism. We enjoy working together to develop key skills as well as having fun. Our vision is to offer a provision that gives children and families the understanding, support, tools and opportunities they need to achieve and succeed. We believe that every child can learn and achieve when we meet their individual needs. This ties in to our whole school vision – Believe to achieve! Each child in the Rainbow Room is given a Personal Learning Plan (PLP) whereby they are given targets across 9 key areas of learning such as Maths, Reading and Functional Skills. This combined with our Specialist Occupational and Speech and Language Therapists provides a full and rich curriculum whereby each child will make progress. We have a high ration of adults in the Rainbow Room (3:7) to ensure that children are provided with a high level of adult support. Lots of visual support – photos, symbols, objects to represent activities, timetables, etc. Children are also provided with daily opportunities to play in and explore the mainstream school. We also have children and staff from the mainstream school visit the Rainbow Room to help our children build good relationships with others across the whole school. Our facilities are resourced, organised and arranged to be as autism friendly as possible and we are proud to offer this commitment. All children in the provision must first have a diagnosis of autism as well as an EHCP. Placements are through Brent SENAS. “I am a mother to a non-verbal 5 year old boy and was initially apprehensive as my son could not speak and was anxious about how he and the teachers would be in this school.